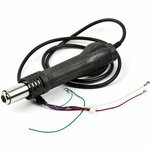 Antistatic protection, soldering iron power consumption 50 W, hot air gun - 250 W, temperature range: 100-480°C, automatic cooling after power off. The compressor is placed in the station. 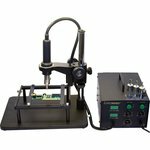 A hot air soldering station for disoldering IC such as SOIC, PLCC, QFP and BG goes together with the air gun and the soldering iron. 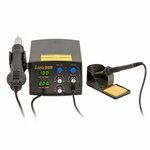 Lukey 702 Soldering station which is able to change air volume and temperature in a large scale. 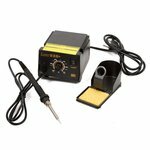 Hot air soldering station for soldering and desoldering boards such as SOIC, PLCC, QFP and BG. 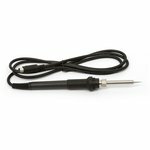 Hot air gun and the soldering iron included in package. 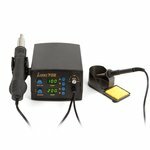 Hot air lead-free reworking station Lukey 868 with digital temperature indication. 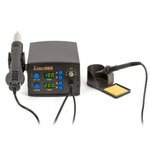 Lukey 898 Digital Hot Air Soldering Station + Solder. SMD Rework Station. Leadfree. 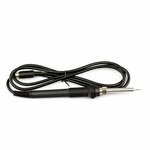 Lukey 936+ Soldering iron - suitable for mounting and reworking SMD components by hand,soldering common and directly-inserted electronics. 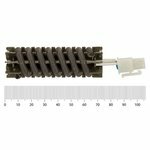 Heat gun heating element for Lukey 850D, 852D+, 852D-300-301, AOYUE 2702, 2702A+, 2738, 2738A+, 6028 Sirocco, 6031 Sirocco, 738, 768, 852A+, 852A++, 857A++, 906, 906C, 909 soldering stations. 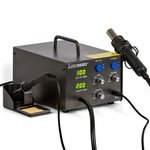 Lukey hot air gun is designed to work with Lukey 702, Lukey 852D+FAN, Lukey 868, and Lukey 898 soldering stations, and it is used for soldering SMD components (QFP, SOP, BGA, PLCC, etc.). 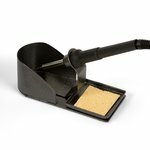 Soldering iron stand for work with Lukey soldering irons. 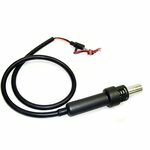 Compatible with Lukey 936+, 702, 852D+, 852D+FAN, 852D-300-301, 853D+, 868, 898. 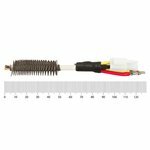 Heat gun heating element for Lukey 702, 852D+FAN, 853D+, 868, 898 soldering stations. Universal working station, convenient for use. 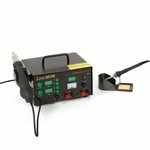 BGA Repair Fixture Lukey 300 is perfectly used in combination with Lukey 301. Adjustable according to the size of the circuit board. 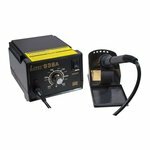 A compressor hot air soldering/desoldering station + hot air gun holder + soldering iron + soldering iron holder + repair fixture holder. 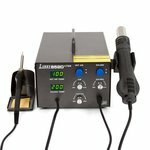 Compact soldering station, with a soldering iron operating voltage of 24 V, which minimizes potential damage to components during the soldering process.